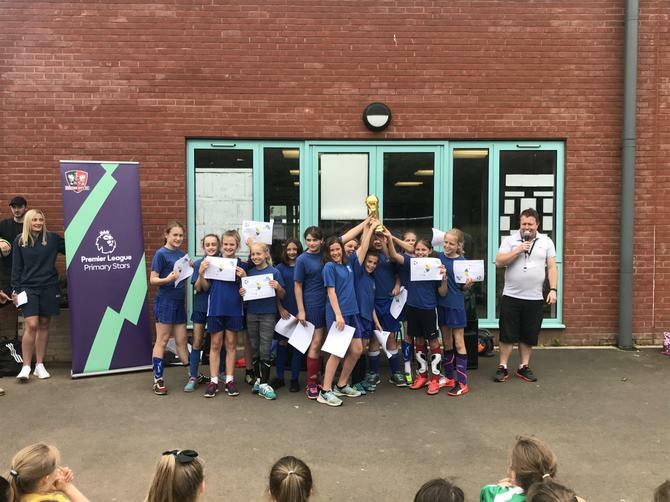 Brixington are Girls Football Champions! 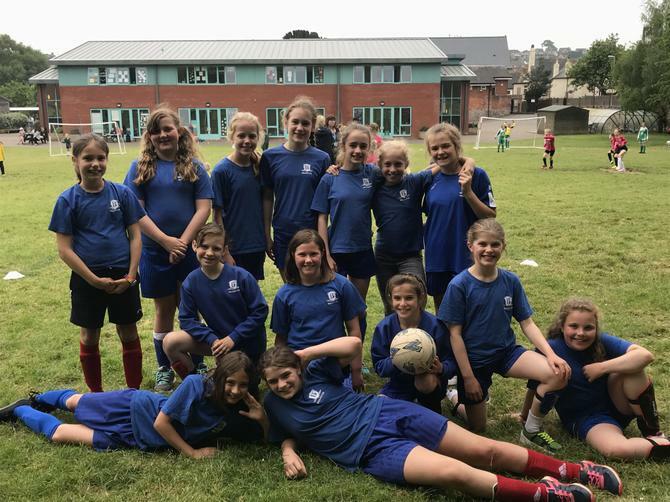 On Thursday 24th May, 14 Year 5/6 girls took part in a football tournament at Withycombe Primary School. They played a total of 6 games and won 5 of those 6! Isla scored a fantastic hat-trick in one match followed by Nancy, who scored a stunning goal in the top corner. The girls played absolutely fantastically due to their excellent teamwork and sportsmanship. It was very tense at the awards ceremony. The girls knew that they had tried their hardest and done very well, but was it enough? They announced that Brixington had come joint first and the girls were ecstatic! Shortly after this announcement, they told us that the winner was being decided by goal difference... The girls did it! They had scored enough goals to secure the 1st place position and were absolutely over the moon. Well done Brixington; thoroughly deserved!